The Aqua Lung Explorer Collection: Roller is made for travel. 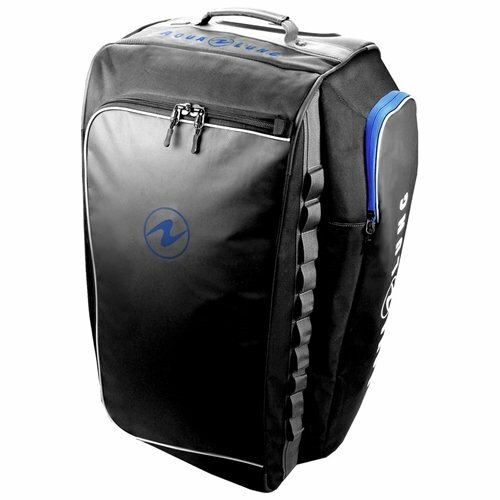 This bag is the perfect size for a full dive kit and all your other travel gear. The side pockets are designed to fit fins as long and wide as the Aqua Lung Sling Shots, Giant size. Both sides of the bag have anchor loops for mounting easy access gear with carabineers or securing your bag to the deck of the boat. The body of the bag is made from 1680D Polyester and high wear areas are reinforced with Tarpaulin. If you have any questions about this product by Aqua Lung, contact us by completing and submitting the form below. If you are looking for a specif part number, please include it with your message.